When you are in need of pest control in Portland, OR, you may be thinking…“Why not just do it myself?” You’ve been in the pest control section at your local shopping center plenty of times. With all those products it must be easy, the perfect project for a go getter like you. But improper pest control doesn’t just affect you. It affects your family, your environment, and can have long term consequences. Why choose Professional Pest Control? Pest Control Specialization – One of the major reasons to choose professional pest control in Portland, OR is simple. Specialization. Pest control is an art. It involves intense knowledge of the habits of specific pests and the conditions they find favorable. These can also change with region and even pest genus. Similar pests are very easy to confuse for an amateur. A pest control professional can identify exactly which type you have, and tailor their treatment to your specific situation. Depending on whether you rent or own, certain methods may be restricted. A pest control provider knows what pest control methods to use, and when to use them. Pest Control on Your Time – You’ve got a busy life. You have work, family, friends, and they all need balancing. Scheduling for pest control in Portland, OR leaves you open to do what you want, when you need to. A good provider can work with you to ensure your daily life will remain uninterrupted. They also offer plans that cover you for extended periods of time. That means complete pest control for up to 2 years, and peace of mind. Pest Control Pricing – You may be considering pest control, but finding the cost prohibitive. You’ve gone over your budget, and it certainly fits, but you really wanted to go on vacation. I bet you didn’t consider the cost in damages that untreated pest can cause. Termites and ants can cause thousands of dollars of damages to your home. Spider bites and bee stings can cost thousands in medical bills. Rodents carry disease and contaminate food. Untreated bed bugs can cause emotional scarring and require complete fumigation. The cost of an untreated problem pales in comparison to the cost of pests run rampant. The sooner you seek professional help, the better. Pest Control Risks – Pests are easy to dismiss. What’s one bug, or a lone rat? While if you don’t perform pest control the right way, you can actually cause the problem to spread. Scattering rats from a nest can cause them to set up new nests elsewhere and spread disease. Improperly handled bees can swarm, with deadly results. A professional technician knows these risks, and the techniques used to mitigate or eliminate them while still effectively controlling pests. Pest Control Materials – Just because you can buy it over the counter, doesn’t mean it isn’t deadly. You can purchase any number of poisons without knowing a thing about proper application and cleanup. These mistakes can end up having deadly consequences for an amateur. Your local store contains products that were released yesterday, and products that have been in use for 50 years on the same shelf. Thanks to updated packaging they may look identical, but produce very different results. A pest control technician knows when and what to use, and most importantly, where to apply it. They also have access and understanding of the latest green methods. With so many reasons to choose professional pest control in Portland, OR, it’s important to have a pest control service provider you can trust. 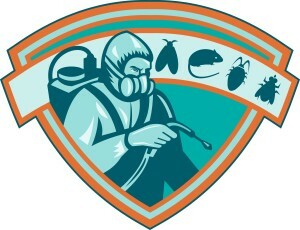 Family Home Pest Control has been performing pest control in Portland, OR for over 38 years. We know how to identify pests, when and what control methods to use, and have affordable service plans. Call (503) 452-9965 or Contact Family Home Pest Control today.